Three artists working in our communities today have rich connections with the past. This connectedness allows us to appreciate those who have gone before; teaches us that all art is cultural appropriation; gives us insights into today; and gives youth a path forward. The artists featured here are Mary Jackson, Kerry James Marshall, and Kehinde Wiley. They have all been widely exhibited in major museums and represented in prestigious galleries. Mary Jackson is a fiber artist and a MacArthur Fellow. She was born, and still works, in South Carolina, a descendant of the Gullah community. 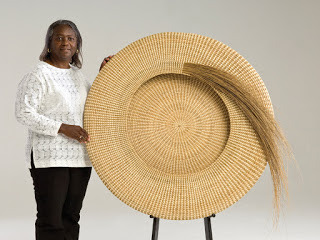 Basketry and fiber arts have been cultural assets among the Gullah people, with linkages back to their West African ancestors. 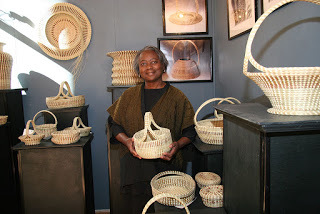 Basket making is a feature of most societies, both as an art form as well as for utilitarian purposes.Gullah baskets tend to be made from sweetgrass, with other materials woven in. The color palette tends to be neutral and the designs derived from functional items. 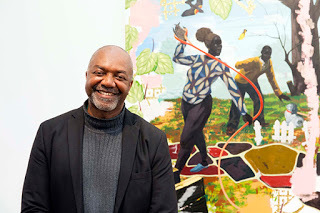 Kerry James Marshall is a painter and sculptor born in Birmingham, Alabama, raised in Los Angeles, California, and resides primarily in Chicago, Illinois. The themes of his work revolve around African American life and history. He and his family have chosen to reside in a working class neighborhood in Chicago because he feels called to paint the richness of black life as it is experienced by most African Americans. His current exhibition is in New York at the Metropolitan Museum of Art's contemporary wing, the Met Breuer. 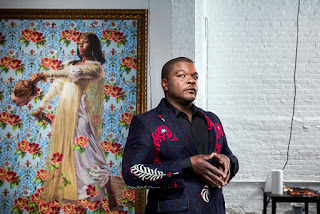 Kehinde Wiley was born in Los Angeles, educated at Yale, and is now based in New York. He is a portrait painter and sculptor. He is interested in shifting people's perspectives and perceptions of black people and other people of color. 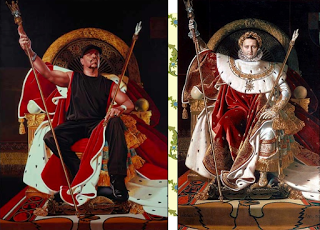 To achieve this, he takes classic European paintings of aristocrats and religious figures and recreates them using sports stars, hip-hop artists, and often, people chosen right from the street. His paintings have the lush colors and backgrounds and complex compositions of the 'Masters' of the Renaissance. He also explores classic Greek, Roman, and Chinese themes, again using black people as models. He has series based in India, Israel, Sri Lanka, and France amongst other places. His current exhibit at the Seattle Art Museum (SAM) features stained glass windows, religious triptychs, sculptures in the style of Houdon, and large format oils. Each of these artists brings such visual joy to the viewer. They address important cultural and political history issues. They look to the past to create in the present and pave the way for younger artists to think critically and look for new ways to express their ideas.